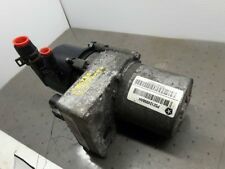 Jeep Grand Cherokee WJ factory OEM used Power Steering Pump for 4.0L. DeadJeep is your first and only stop for rebuilding or repairing your Jeep. We provide the best hospice care until the Jeep moves on. Wrangler factory OEM complete power steering set-up. Includes everything needed such as pump, bottle, lines, box and all brackets. Super clean and nice. Fits all 4 and 6cyl Wranglers 91-95. DeadJeep is your first and only stop for rebuilding or repairing your Jeep. 2014-2015 DODGE DURANGO JEEP GRAND CHEROKEE. 2014-2015 DODGE DURANGO, 3.6L. 2014-2015 JEEP GRAND CHEROKEE, 3.6L. 3.6L POWER STEERING PUMP. Fits 2005 to 2007 Jeep Grand Cherokee With 3.7L & 4.7L V8. New Power Steering Pump. Warranties are only valid in the U.S.A. not included in your order. These fees are. International Orders. Canada Orders. 2006 JEEP WRANGLER TJ RUBICON. TAKEN OFF OF A GENUINE 2006 JEEP WRANGLER Rubicon TJ. 2003 - 2006 JEEP WRANGLER TJ RUBICON ONLY. REAR DIFFERENTIAL DANA 44 4.10 GEAR RATIO WITH 47K MILES. DON'T YOU SEE WHAT YOU NEED?. 2011-2013 Dodge Durango Jeep Grand Cherokee. 2011-2013 Dodge Durango(3.6L). 2011-2013 Jeep Grand Cherokee (3.6L). 3.6L Power Steering Pump. The warranty period starts when you take possession of the part. "Crown Power Steering Pump --. Condition : New. Therefore all implied warranties that may apply to your part are limited to the duration of this written warranty. Each warranty gives you specific rights, and you may have other rights which vary from state to state. 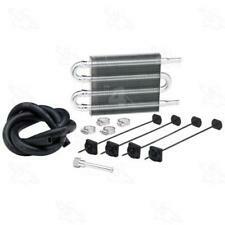 Applications: For 1996-2001 Jeep Cherokee 4.0L 242Cu. In. 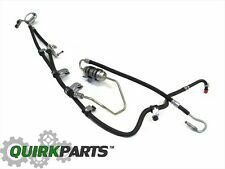 l6 GAS OHV For 1997-2003 Jeep TJ 4.0L 242Cu. In. l6 GAS OHV For 1997-2003 Jeep Wrangler 4.0L 242Cu. In. l6 GAS OHV For 2003 Jeep Wrangler 4.0L 3956CC 241Cu. In. l6 GAS OHV For 2001 Jeep Wrangler 4.0L 3958CC 242Cu. In. l6 GAS OHV Package Included: 1 * Power Steering Pump With Reservoir Additional Information: . 2014-2015 DODGE DURANGO JEEP GRAND. 2014-2015 DODGE DURANGO, 3.6L. CHEROKEE 3.6L POWER STEERING PUMP. 2014-2015 JEEP GRAND CHEROKEE, 3.6L. POWER STEERING PUMP. Drivers should also note that if they had steering problems or poor handling issues this system may make the steering condition worse. The cylinder assist kit is used to assist with the turning of the wheel's steering components without causing the driver to have to exert extra strength. Jeep’s original steering shaft assembly was not designed for the added stress of body lifts and oversize tires. The steering assembly is easy to install with common hand tools. Once installed, you will experience much tighter and more responsive steering. 2014-2015 Dodge Durango Jeep Grand Cherokee. 2014-2015 Dodge Durango(3.6L). 2014-2015 Jeep Grand Cherokee (3.6L). 3.6L Power Steering Pump. The warranty period starts when you take possession of the part. DODGE DURANGO JEEP GRAND CHEROKEE 3.6L. 2011 2012 2013 DODGE DURANGO 3.6L. 2011 2012 2013 JEEP GRAND CHEROKEE 3.6L. POWER STEERING PUMP. We understand you may not be satisfied with our item and we are here to help. 2011-2013 DODGE DURANGO JEEP GRAND. DODGE DURANGO 2011-2013, 3.6L. CHEROKEE OEM POWER STEERING PUMP. JEEP GRAND CHEROKEE 2011-2013, 3.6L. Trending at $179.99eBay determines this price through a machine learned model of the product's sale prices within the last 90 days. 2014-2015 JEEP GRAND CHEROKEE DODGE DURANGO. 2014 GRAND CHEROKEE 3.0L, GASOLINE. 2014-2015 DURANGO 3.6L. 2014-2015 GRAND CHEROKEE 3.6L. 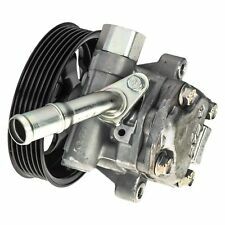 POWER STEERING PUMP 3.6L. Steering Shaft Fits Jeep Cherokee 425-284 Dorman - OE Solutions. Shaft Length (In)23.2 In. Shaft MaterialSteel. 1984 Jeep Cherokee. Weight: 5 Lbs. Interchange Numbers &nbspChryslerPart Number: 4713943. These parts are getting hard to find in used or NOS condition. Not complete but all the important hard to find parts are there. Here is a good used set of power steering brackets with A recently rebuilt pump in good used condition. Needs a cleaning but no broken parts. Rare bracket setup. For AMC/Jeep V-8 engines. No hoses included as these need to be replaced. Part Number: 5181674AD. We are your one-stop source for all things Mopar. Great item! These things work GREAT! Item as described.2019-04-19. 3207 Communication. 2989 Item as described. ATV Accessories. Interior Parts & Accessories. Condition : NEW. 2007 Jeep Liberty Sport Utility 4dr 3.7L V6 VIN: K Magnum Chrysler 12Valve FI Naturally Aspirated SOHC GAS 104.2 Power Rack. 2008 Jeep Liberty Sport Utility 4dr 3.7L V6 VIN: K Magnum Chrysler 12Valve FI Naturally Aspirated SOHC GAS 104.2 Power Rack. Southwest Speed Remanufactured 1980-1986 Jeep CJ 1400 Series Performance Power Steering Pump (149-1622). 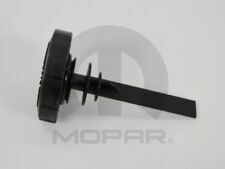 Southwest Speed 1980-1986 Jeep CJ 5 3/4" Power Steering Pump V-Belt Pulley (149-1594). Southwest Speed 1980-1986 Jeep CJ High Strength Speed Pitman Arm (107-1827). This power steering pump from Omix-ADA fits 87-90 and 96-01 Jeep Cherokee with a 4.0L engine. Need More Jeep Parts ?. Removed from 1987 4.2L. Keep in mind that these are Used Parts, Not New, and usually do show signs of normal wear. Therefore, the older the part, the more wear you can expect.